Millennium Park is a visionary space. A modern version of an italian garden. It’s hard to resist the opportunity of an engagement session in this park, but its popularity is such that you will have to contend it to thousand of people. I proposed Ashley and Chad to meet at sunrise by the Crown fountain. Then go from there and play with the rising light striking across the trees while we take our collection of Millennium Park sunrise engagement pictures. It’s fascinating to walk across the Lurie gardens and to see no one. To frame this unreal space without compromising on perspectives and to take everything in: the vivid purple strokes of the coneflower or the sage. And to be surrounded by the shiny cityscape that reverberates the warm light of the early morning in different shades of orange and gold. While the air is fresh when shooting in the morning. 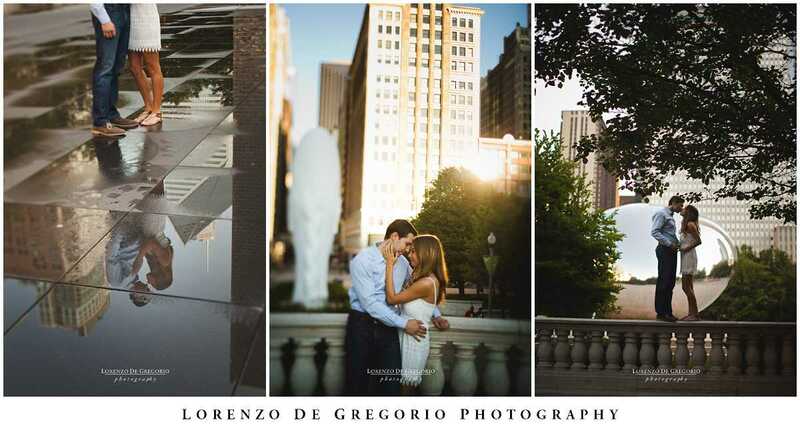 Are you are planning an engagement session in downtown Chicago? then you should check Se won and Phil‘s session. 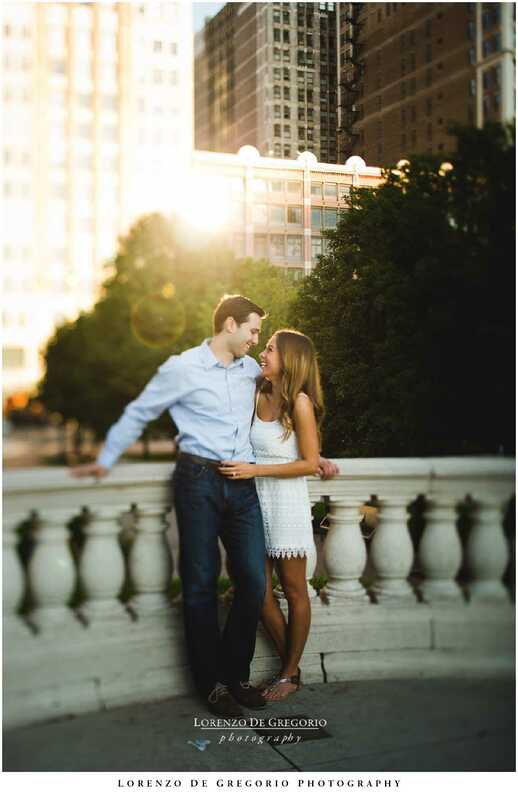 If you like sunrise sessions, then you should look Ashley and Dan‘s sunrise shoot or Erin and Luis‘s engagement by North Avenue Beach and Sheila and Brian‘s pictures at Humboldt Park. Ashley and Chad Engagement while the sunrise light creates a magic gilded halo.